Watch the VIDEO episode here (part 1) and here (part 2). Because the second part is so rich in visual content, it is available in video only. Part 1, which is the regular podcast with the usual segments, is available both in audio and video. I first mention the blog post on Creative Identity that I was invited to write over at A Playful Day. Tropical Garden iced infusion from Le Palais des Thés. 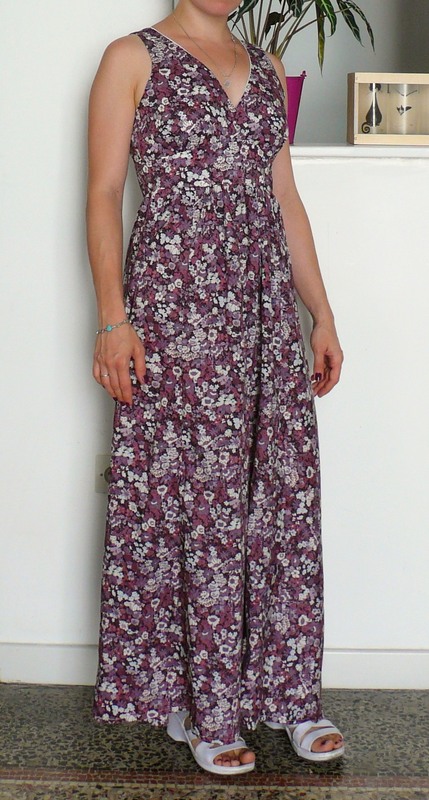 I was wearing Simplicity 3803. I made a large project bag to host my upcoming handspun blanket project. – I have started the Little Ancolie cardigan, out of Surnaturelle by La Droguerie. 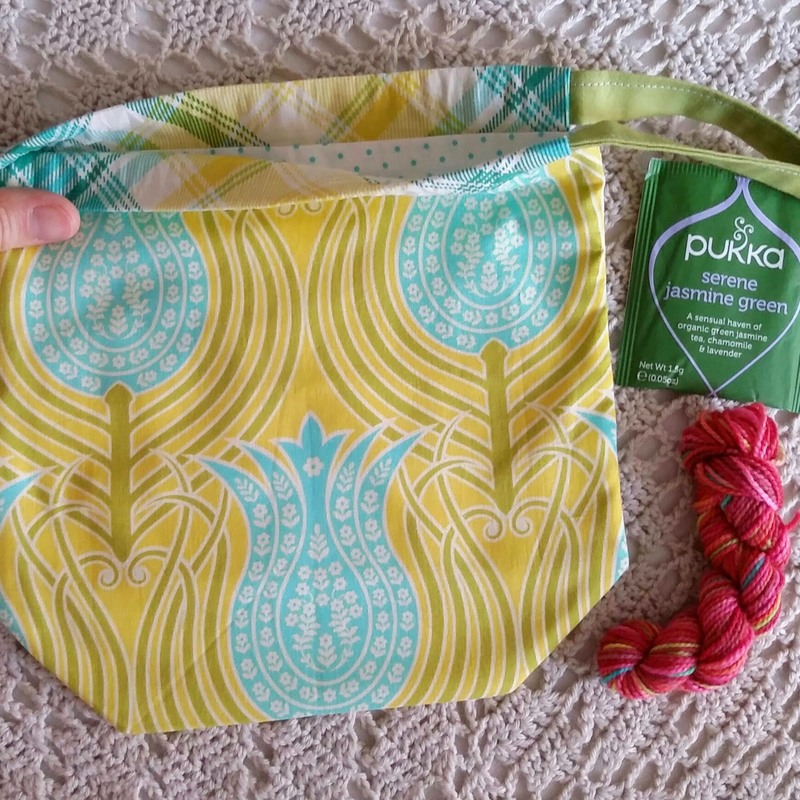 I am knitting this for the #purposefulstashalong hosted by Dani of Little Bobbins Knits. 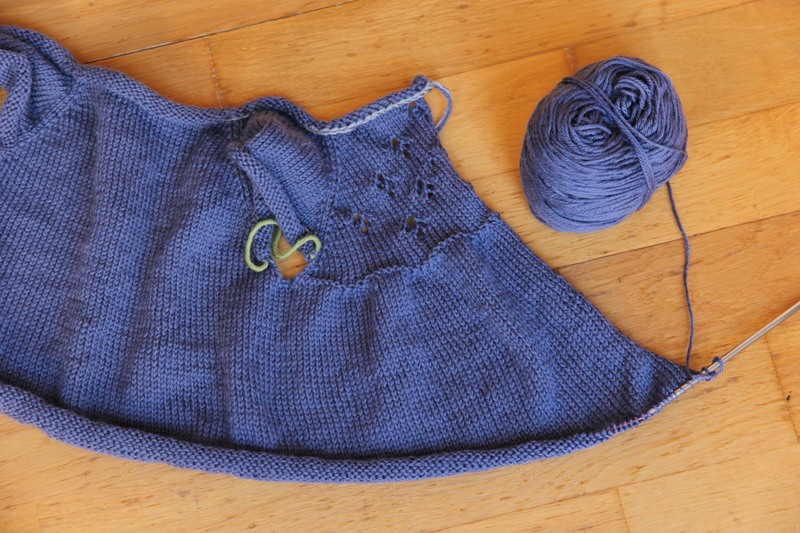 – Plugging along on the reverse stockinette section of the Lobelia Cardigan by Meghan Fernandes, out of Pompom Magazine issue 4 (Spring 2013). Knit out of Voolenvine Yarns Luft Lace in Faerie Hair. – Melinda of the Yarnderwoman Podcast kindly gifted me the Mrs Bakery Bear pattern, which I am excited to start knitting for my daughter. 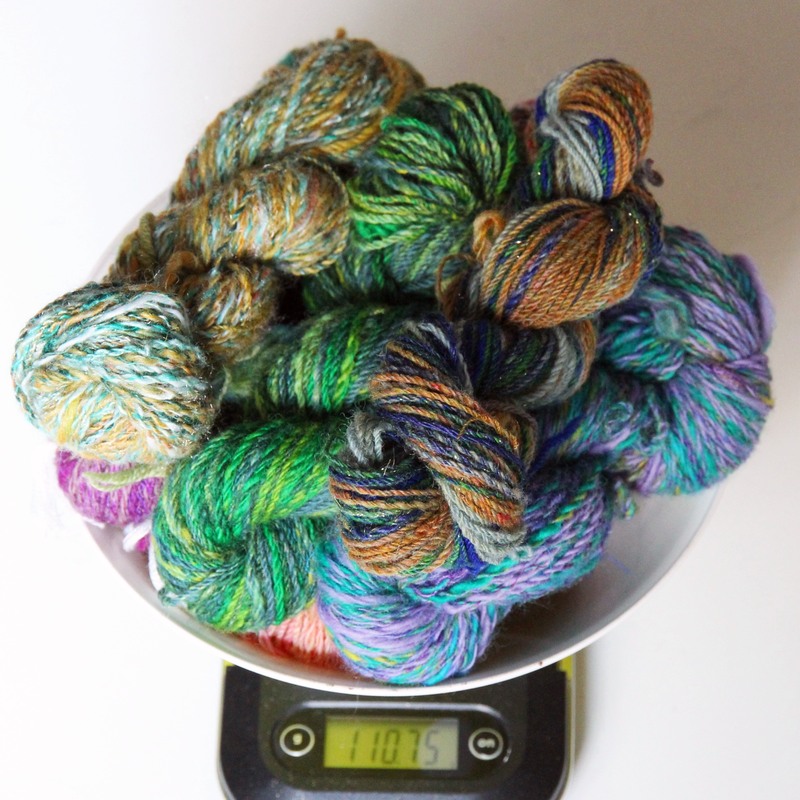 – I plied my Abalone BFL and Silk from Sara’s Texture Crafts, out of her Colour Club 1. – Finished plying my Whitefaced Woodland from woolforbrains. – Also spun Fuzzlings from Fondant Fibre for Tour de Fleece. 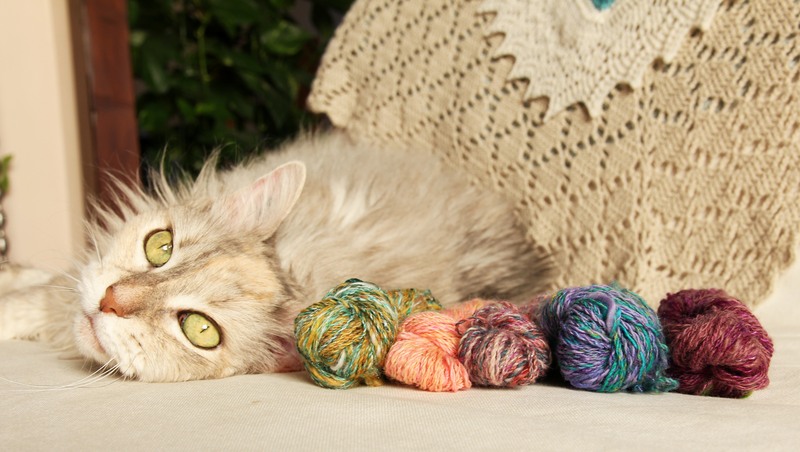 I mention the Ply to Knit class on Craftsy. – The Mini Spinalong is going well. You can use #minispinalong on Instagram. 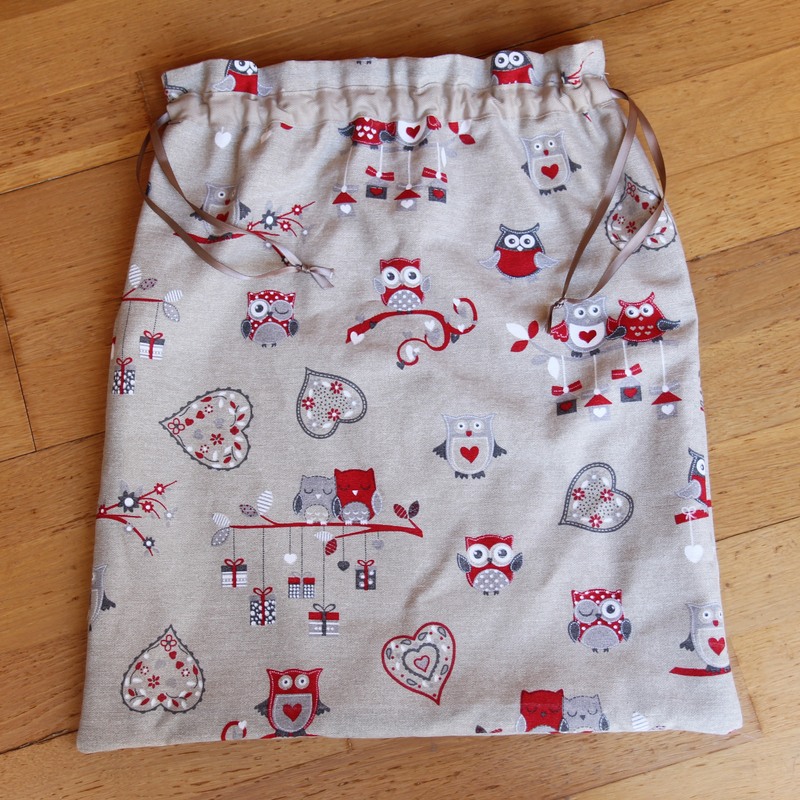 – Erin of Holland Handmade sent a wonderful package, including a lovely bag for friends of the podcast. 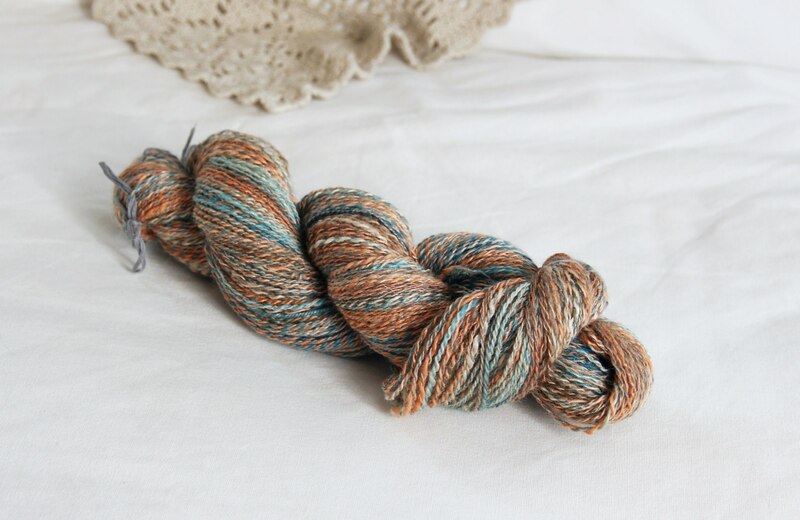 Hop onto the Ravelry forum for a chance to win this!